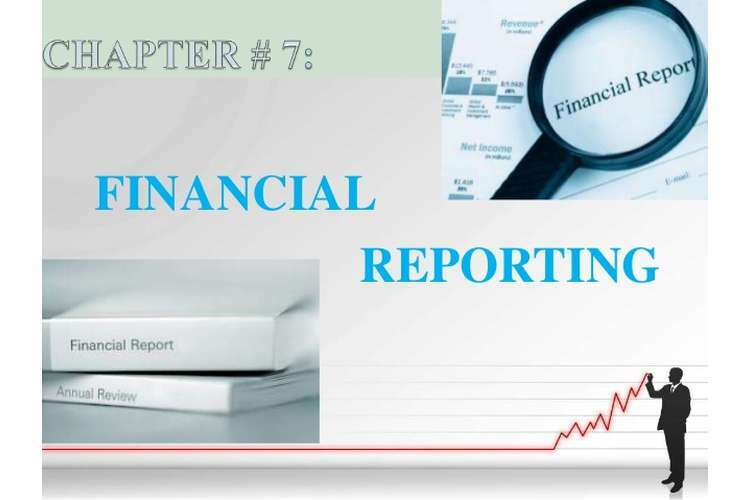 International Financial Reporting Standards, also known as IFRS, are the standards which have been issued by the International Financial Reporting Standards Foundation (IFRS Foundation) together with International business law Accounting Standards Board (IASB) in order to provide a language which is usual and universal in respect of the affairs of the business all over the world and is also easy to understand and contrast. With the growing trade amongst various countries in the world, there has increased a requirement for common standards. The introduction of these standards has brought about replacements in many of the existing standards which are being followed by many countries[ CITATION Arn17 \l 1033 ]. The first factor of the concern is the concept of being principle based. Which does not involve detailed rules and as a result, the job of actual processing of accounting is left on to the decisions of the individual companies and their auditors[ CITATION Boc16 \l 1033 ]. The second factor of concern is that under the International Financial Reporting Standards (IFRS) the value of those assets which does not have any market value will be determined on the basis of the mathematical projections of the earning being earned with those assets in future[ CITATION Ben10 \l 1033 ]. With the adoption of the International Financial Reporting Standards (IFRS), the companies will have the ultimate discretion over the way various financial informations are being presented, which will result in varied formats of processing the financial statements. 2. In case of the first factor of concern, the concept the International Financial Reporting Standards (IFRS) being principle based with less number of prescribed rules and leaving of all the work of actual accounting processes at the decision of the companies and it auditors does not have any actual evidence. There has been an introduction of Japanese SOX law for this regard. However not in direct connection, but this could be considered as an empirical evidence[ CITATION Dic17 \l 1033 ]. 3. In case of the second factor of concern, there is no such empirical evidence being observed as of now of valuing the assets without any market value at the mathematical projections of its future earnings. In case of the third factor of concern, which is about giving the managers the discretion over the format of presentation of informations to be reflected in the financial statements has raised voices of many business people as well as researchers. There has been no observation of any empirical evidence with this regard as of now[ CITATION Dum17 \l 1033 ]. In the case of the first factor of concern mentioned above, that is, the concept of the International Financial Reporting Standards (IFRS) being principle based, the primary concerns are that they does not have much prescribed rules and leaves the work of the actual processing of accounting the companies’ and their auditors’ discretion. Consequently, many transactions which are alike could be interpreted and treated in different manner by different companies and as a result there may arise several cases of window dressing, which could be easily conceived by the companies and their auditors as well[ CITATION Fél17 \l 1033 ]. From the analysis of this factor of concern, we can say that it is naturalistic in nature. In case of the second factor of concern, that is, the allocating the assets without any market prices with the value being based on the mathematical projections of its estimated amount of future earnings, the primary concern is that the adoption of this approach will pave way for the manipulation of the statistical data as well as the models of calculation by the dishonest managers. From the above analysis, we can say that this factor of concern is scientific in nature. In case of the third factor of concern, that is, the provision of the discretion to the companies over the presentation of the financial information in the financial statements, the primary concern is that this would lead to varieties of processing formats which would be unfavorable for the investors of the companies to understand the financial reports with ease[ CITATION Kim17 \l 1033 ]. This is contradictory to the very aim of the introduction of International Financial reporting Standards, which is to facilitate the comparison of the financials of the cross border companies. Hence, from the above analysis we can say that this factor is scientific in nature. All the factors leading to the concern in adoption of International Financial Reporting Standards and the empirical evidence in respect of the same has been explained in detail along with the analysis. IASB stands for the International Accounting Standards Board, which is an independent body of the International Financial Reporting Standards (IFRS) Foundation, for setting the accounting standards. The main purpose of the IASB is to develop the International Financial Reporting Standards (IFRS) which is also known as the International Accounting Standards (IAS) and to elevate the use and adoption of these standards[ CITATION Vis17 \l 1033 ]. With the introduction of the international accounting standards there will be several benefits to Australian companies. The international accounting standards enable the accounting practices in being more transparent and convergent, which will as a result increase the capital flow all over the international markets. Not only this, these standards will replace the existing standards in the country which were restricted to the national boundaries of a country and the companies of the country will be free from the burden of preparing alternative copies of financial statement for the purpose of other different countries[ CITATION Mer17 \l 1033 ]. Moreover, the application of these standards also enhances the quality of the financial reports of accompany since, it focuses on the meeting of the objectives set by the standards. These standards not only provide the above mentioned benefits but also facilitates flexibility, as it is being set on the basis of global business environment principles, it can adapt and adjust to both types of changes being expected or unexpected in the business environment globally all across the world, these standards can accommodated to the jurisdictional as well as traditional circumstances with little amount of interference from the part of the International Accounting Standards Board. With the adoption of the international accounting standards the main advantageous party is the economy of the country since these standards are globally recognized and aims at the usage of universally understood standards, this makes the analyzing of the financial statement of the companies of other countries easier and brings about growth in the economy[ CITATION Seg17 \l 1033 ]. The people who have invested their money in companies across the national border stands to benefit with the introduction of the international accounting standards, since it would enable them to study the financial statement of the companies in which they have invested their funds easy and understandable, as these standards are globally recognized and the countries following it will be having the same and universal format enabling any country following the same standards to read and understand it[ CITATION Wer17 \l 1033 ]. With the help of the international accounting standards, the industry will be able to raise funds in the form of capital from the international markets at a lower cost, since with the adoption of the international accounting standards it can raise the confidence of the foreign investors in their companies’ financial statements[ CITATION Hem17 \l 1033 ]. The adoption of the international accounting standards has led to the avoidance of taxes in case of various companies. The introduction of international accounting standards is associated with higher avoidance of taxes. As a consequence the tax department is at a loss with the adoption of these standards[ CITATION Mub18 \l 1033 ]. The adoption of the international accounting standards are not too favorable for the small companies, since the replacement from the old standards to new standards are not very cost effective and moreover, the benefits with the adoption of these standards to the small companies is likely to be negligible. From the analysis of the varied benefits of the introduction of the International Accounting Standards, I would place my agreement with this change in accounting standards as introduced in Australia. 1. Arnott, D., Lizama, F., & Song, Y. (2017). Patterns of business intelligence systems use in organizations. Decision Support Systems, 97, 58-68. 2. Bennouna, K., Meredith, G., & Marchant, T. (2010). Improved capital budgeting decision making: evidence from Canada. SCHOOL OF BUSINESS AND TOURISM, 48(2), 225-247. 3. Boccia, F., & Leonardi, R. (2016). The Challenge of the Digital Economy. Markets, Taxation and Appropriate Economic Models, 1-16. 6. Félix, M. (2017). A study on the expected impact of IFRS 17 on the transparency of financial statements of insurance companies. MASTER THESIS, 1-69. 7. Heminway, J. (2017). Shareholder Wealth Maximization as a Function of Statutes, Decisional Law, and Organic Documents. SSRN, 1-35. 8. Kim, M., Schmidgall, R., & Damitio, J. (2017). Key Managerial Accounting Skills for Lodging Industry Managers: The Third Phase of a Repeated Cross-Sectional Study. International Journal of Hospitality & Tourism Administration, , 18(1), 23-40. 9. Meroño-Cerdán, A., Lopez-Nicolas, C., & Molina-Castillo, F. (2017). Risk aversion, innovation and performance in family firms. Economics of Innovation and new technology, 1-15. 10. Mubako, G., & O'Donnell, E. (2018). Effect of fraud risk assessments on auditor skepticism: Unintended consequences on evidence evaluation. International Journal of Auditing, 22(1), 55-64. 11. Segal, M. (2017). ISA 701: Key Audit Matters-An exploration of the rationale and possible unintended consequences in a South African. Journal of Economic and Financial Sciences, 10(2), 376-391. 12. Visinescu, L., Jones, M., & Sidorova, A. (2017). Improving Decision Making Quality: The Role of Business Intelligence. Journal of Computer Information Systems, 57(1), 58-66. 13. Werner, M. (2017). Financial process mining - Accounting data structure dependent control flow inference. International Journal of Accounting Information Systems, 25(1), 57-80.